HomeINTERNATIONALTeam Unity friendly Times Caribbean and SKN Times named. That warning from attorney and chairman of WINNFM Board of Directors Garth Wilkin, who is of the view that propaganda used by politicians, political parties and their media outlets can be damaging to St Kitts and Nevis. 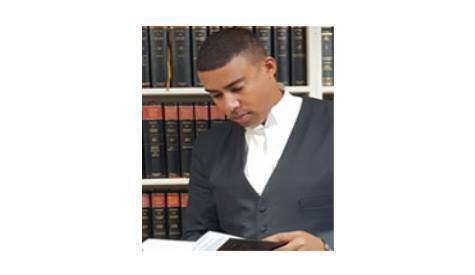 Wilkin shared his views on the subject on WINN FM’s Inside The News program on Saturday and gave examples in relation to the Team Unity government-friendly on-line media outlets Times Caribbean and St Kitts and Nevis Times. “The nationwide loss to be able to tell between right and wrong can destabilize and cause chaos in a small federation like ours. The glaring state of propaganda in our nation can be seen daily all we need to do to be bombarded with fake news is to log on to Facebook or check our Whatsapp messages. Instead of being informed about actual events that have occurred and having related sober depoliticized debates as to the state of our development of our nation of the performance of our institutions the government and the opposition media machinery begin propaganda wars daily to gain political points. The lack of objective information is startling. As far as the authors of Times Caribbean online or SKN Times are concerned, the Unity government and its related stalwarts or supporters can do no wrong, and if wrong is exposed, it really is right. If the government says two plus two equals five you better believe it wholeheartedly and they will hold a town hall meeting filled with their supporters to ram the “truth” down your throat. “Fortunately, I have faith that Kittitians and Nevisians are not that foolish, only the blind loyalist will convince themselves that two plus two equals five. Being a blind loyalist is akin to being a traitor to our nation. At the end of the day, boys will be boys and politicians will be propagandists. We as a people must, therefore, be objective in our thoughts and selective in our choice of information sources,” said Garth Wilkin and reported by WINNFM. According to Wilkin, politicians and political parties use propaganda to keep supporters loyal. “In order to win control of governments in our party political system, citizens and residents chose a political party by way of voting for its political candidates. therefore politicians and political parties use propaganda to keep supporters loyal and to gain new supporters. politicians do not want voters to be objective, to be informed, challenge decisions and statements made by them. blind loyalty is what political parties crave. When politicians steal funds, take bribes, become morally bankrupt or fail in a management of their ministries, they do not want to lose voters in the next election at all cost, so their actions and inactions can continue without repercussions,” said Wilkin.